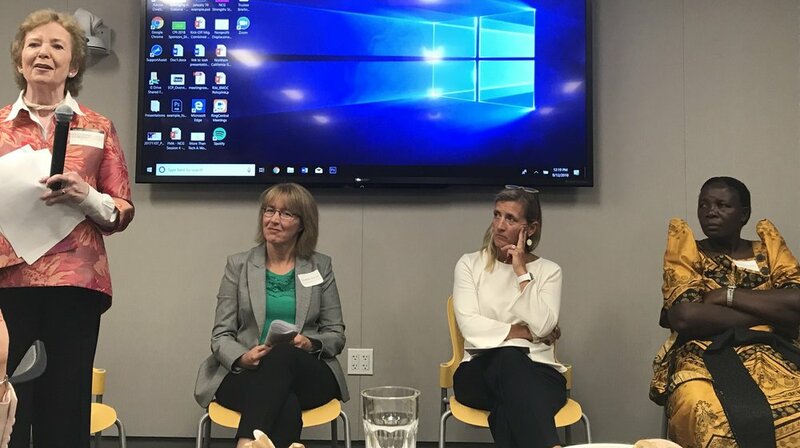 CJRF convenes funders to discuss collaboration: Together with Mary Robinson Foundation-Climate Justice and Rockefeller Philanthropy Advisors, CJRF hosted two events on the margins of GCAS to explore climate justice as an emerging field of practice in philanthropy. Our September 11 dinner, “From Learning to Action: Philanthropy Building Momentum on Climate Justice,” gathered funders from 13 organizations to discuss funding for climate justice. The intersectionality of climate justice with other funding priorities, such as gender and land rights, emerged as a key theme. The partners also held “Pathways to Climate Justice: A Funders Roundtable” on September 12, which brought together funders, non-profits, academics, and others, representing 41 different organizations. Attendees discussed opportunities to collaborate in support of rights-based, community-driven activities to address climate change. Steps identified to support collaborative efforts include: clarifying the definition of “climate justice,” defining what success in climate justice looks like, mapping out assets and activities across the field, and building a set of shared stories or narratives. Activists’ climate justice summit highlights “people’s solutions”: The Solidarity to Solutions Week of Action was organized by the It Takes Roots alliance, comprised of Grassroots Global Justice Alliance, Climate Justice Alliance, Indigenous Environmental Network, and Right to the City. They led about 30,000 “Rise for Climate” marchers in San Francisco demanding climate justice on Sept. 8, and convened a week full of activities for activists, funders, and others. CJRF Director Heather McGray attended the “People’s Orientation” to the week led by It Takes Roots, the CHORUS Foundation, Surdna Foundation, Ceres Trust, EDGE Funders Alliance, Libra Foundation, and the Hewlett Foundation. African and African-American women activists share climate stories and experiences: Along with the NAACP, CJRF hosted the “Pan-African and African Diaspora Gender Justice Dialogue on Climate Change” as part of the Building Resilience Today for a Sustainable Tomorrow event on September 11. 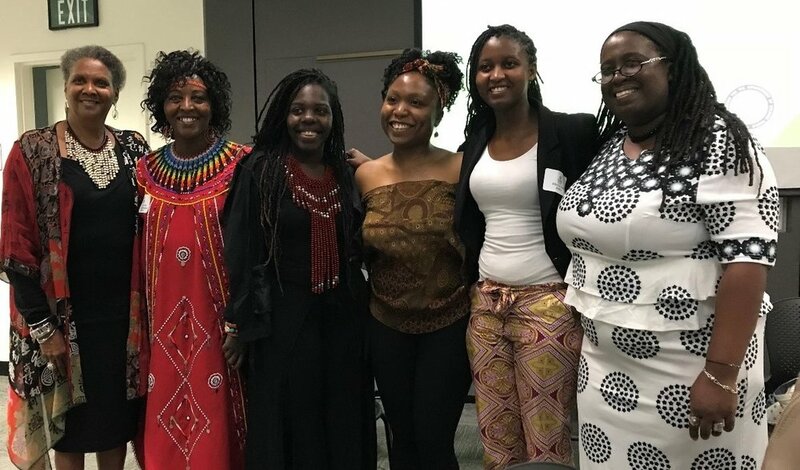 The session explored the intersection of race, gender, and climate change in the US, Guyana, and Kenya, and highlighted opportunities for common ground and shared action on climate justice between African women and women of African descent. Panelists included Agnes Leina, Il’laramatak Community Concerns; Kari Fulton, Near Buzzard Point Resilience Action Center; Iris Crawford, NAACP; and Winnie Asiti, African Youth Initiative on Climate Change. Denise Fairchild, President of the Emerald Cities Collaborative, moderated the session. CJRF grantee partners take the main stage: Various sessions in San Francisco highlighted the work of CJRF partners. Agnes Leina of Il’larmatak Community Concerns and Violet Shivutse from the Huairou Commission spoke at the Summit’s main resilience session, “Prepared for the Future We Create: Designing, Building, and Financing Resilient Communities.” They described the central role that women play in adaptation and resilience at the grassroots level. Agnes also served as a keynote speaker at the high-level roundtable entitled “Changing the Climate Conversation: Enabling Women’s Participation to Advance Climate Justice.” Co-convened by Mary Robinson Foundation, the State of California, and the UN Climate secretariat, the roundtable will feed into the “Talanoa Dialogue” climate talks under way within the United Nations. Meanwhile, Ole Kaunga Mali of IMPACT Kenya spoke at “Investing in Energy Access as a Critical Climate Solution” to urge clean energy investors to gather input and insight from community members before starting projects. The Center for International Environmental Law co-hosted several sessions on plastic pollution, litigation against big oil, and climate risks for investors. Clare Shakya of IIED spoke at a panel on “Building Energy System Climate Resilience,” and the Earth Journalism Network sponsored journalists from 21 countries to attend training seminars in San Francisco and cover GCAS-related events. Indigenous Peoples Build Momentum for Global Clean Energy Coalition: CJRF co-sponsored an information session on the new Right Energy Partnership With Indigenous Peoples. The partnership, led by the Indigenous Peoples’ Major Group on the SDGs, aims to ensure that clean energy projects respect the rights of indigenous peoples, and that indigenous peoples benefit from the renewable energy revolution. 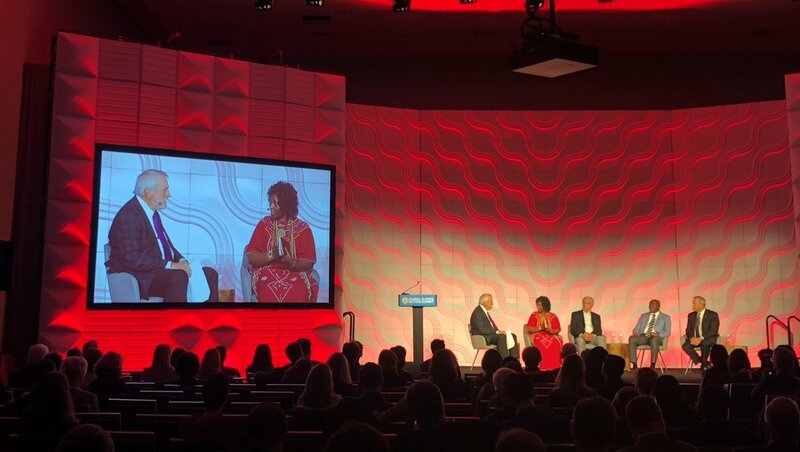 The GCAS was promoted as a launchpad for deeper worldwide commitments to put the world on track to prevent dangerous climate change and realize the historic Paris Agreement. It aimed to push national governments, from the ground up, to ratchet up the ambition of their climate action at climate talks in December. The GCAS program, webcast, and a links to affiliated events, can be found here.